Summer time is right around the corner, and an updo look that is easy yet edgy is a must! 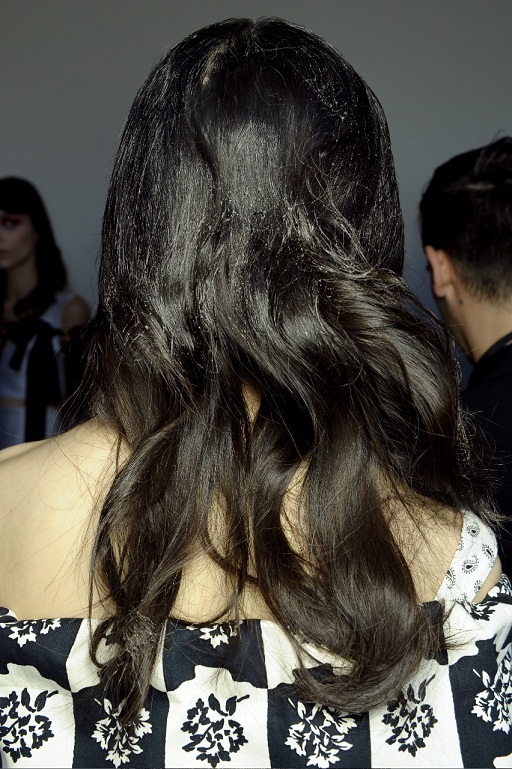 Guido, a Redken Creative consultant breaksdown how to create this look, shown on the runway at Louis Vuitton's Spring/Summer 2012 look. Looking for a sculpted, wavy look? Lucky you, Miu Miu had just that to match their glamorous Spring/Summer 2012 collection. Love this look & plan to try it? Let us know where you wear it! Of all the hues to wear, besides red, orange is a 'harsh' tone to work with on many skin tone types. But it doesn't have to be this way, there are ways you can fit the bright hue into your every day beauty, and what perfect timing with the summer season on it's way! 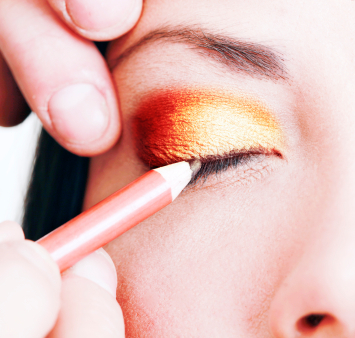 Make your life more interesting and read on to see how you can really make your eyes pop this season by wearing the bright hue on your eyes. It's sounds a little bold & daring, but it's a great color, especially for blue eyes-- it's a great complimentary color! Apply mascara to your lashes and curl your upper lashes for even more definition. Would you wear this hue on your lids? Which product would you pick? We'll help you take the hottest beauty trends from the runway to everyday! Take a peek behind the scenes as we get the scoop on the latest beauty trends backstage at Ralph Lauren! This season's look is elegant, classic, and can be classified in one word -- perfection! Makeup artist Tom Pecheux started with a matte foundation, then applied white eye shadow from the eyelid to the brow bone. Then he placed black mascare on the upper lash only, and then curled the top lash for added impact. He used an apricot and pink blush on the apples of the cheeks, adding a sweet dimension, and finished the look with a gold-hued gloss placed softly on the lips. Hair stylist Fuido Palau kept the hair clean, simple and modern -- the 'epitome of the Ralph Lauren woman. "The look is easy sophistication achieved by a ponytail. It's very elegant, but not forced. It's just about true beauty and a luxurious look." Pull hair back into a ponytail a few inches above the nape of the neck and tie with elastic. 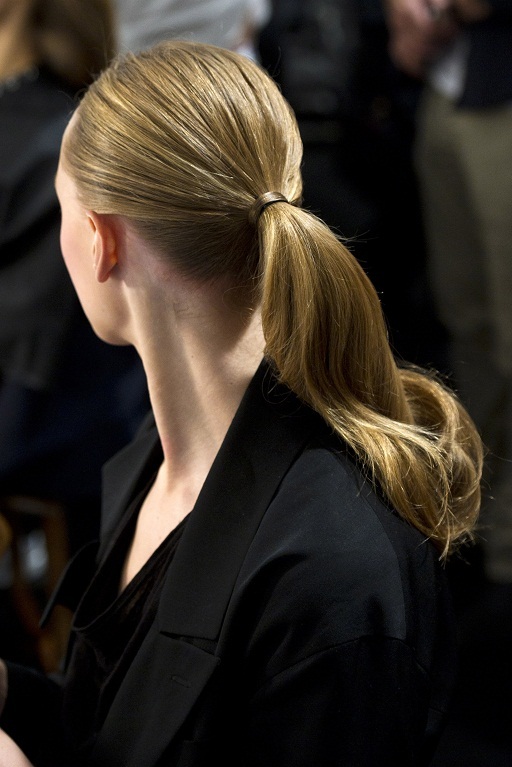 To complement this look, spritz Ralph Lauren Romance onto the pulse points and on effortless ponytail. Seasons change...so should your beauty regimen! Dump the dark colors and lighten up a bit! Spring 2012 is all about bright and bold hues. Designers like Betsey Johnson and J. 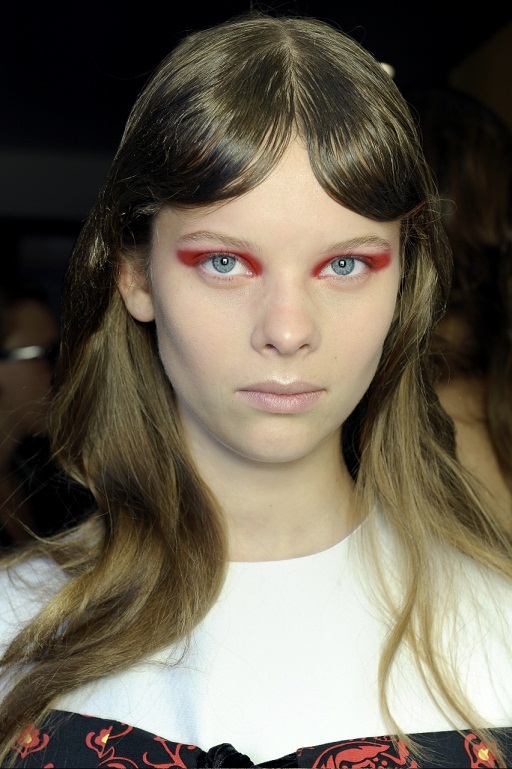 Crew pumped up the volume with young, playful, and colorful beauty looks on the Spring 2012 runway. Makeup is focused all on the lips this season, so grab a punched up color and rock it! While you're at it, switch up your scent and get a new fragrance! Suit your fragrance with the summer season and let us know which products you plan to switch to! Happy Spring/Summer 2012! During the summer months, we tend to pay the professionals to give us our pedicures since flip-flops and sandals are the norm for most women. During the fall and winter months, even though we gravitate toward the closed-toe shoes, we still want our toes to look nice, right? If you want to save a few bucks but still have gorgeous feet, try a do-it-yourself pedicure. Kids' perfumes: controversial or not? When I was 11, I wore my first cologne … quite unintentionally I might add. My mother, while applying a few generous splashes to my stepfather's jaw, swooped in over me and dried her hands on my cheeks. I recoiled in horror, wincing and gagging and flapping my arms for added effect. But when I retreated to my bedroom (slamming my door in a little mock-huff), I revelled in the aroma, and for a moment, felt very "grown up." The cologne was Drakkar Noir. In an ideal world, all women would own a bottle of Chanel No. 5. In 1921, Gabrielle "Coco" Chanel tasked perfumer Ernest Beaux with creating a fragrance that would define women. Nearly 100 years later, Chanel No. 5 remains the top-selling perfume in the world. Why is it called Chanel No. 5? Because it took Beaux five attempts to get it just the way Coco Chanel wanted it. With Father's Day just around the corner, we’re here to help you make some educated choices when buying fragrance for the big man. We know fathers can be notoriously hard to shop for, but fortunately, they can also be quite easy to please. Forget the socks and the hankies, and give Dad the gift of scent! Here are our top picks for Dad for June 19th.